TinyBytes, a mobile game developer based in Chile, has raised $1.4 million in investment ahead of the launch of its upcoming game. TinyBytes is a six-person team that's currently working on Massive Warfare: Aftermath for iOS and Android. "People seem amazed when they see such a big game and learn we are so tiny," says CEO Andres Constantinidis about the business. "When you work with outstanding people, one plus one can equal 10. We are all generalists, we have programmers who are into analytics, artists who are interested in F2P design and so on. Our artists can do 2D, 3D, texturing, rigging, modeling, animation, UI, SFX, OST, and so on. That's what we call an all field-player, someone who can stretch their talent to cover different areas of interest. "We are very analytics driven, very clear on KPI goals, and very transparent with the team when it comes to metrics so everyone is aligned and there's shared ownership over our destiny as a company. We are all about speed of execution. We have a Spartan approach where everyone places the team goals and performance above all. There are no big egos and no wasted time on pointless meetings. There are no greenlight meetings full of people having an opinion on what game we should make. We favour personal life and family over inefficient crunching." The investment will be used primarily to expand the teams but also enable the firm to promote its own games. It will also enable it to keep improving Massive Warfare, which has been in Google Play's Early Access for almost a year. "In a way, the investment gives us more independence," adds Constantinidis. 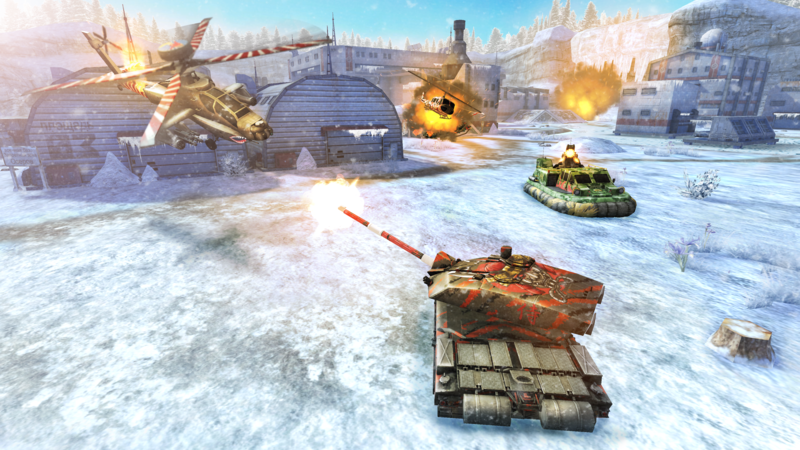 "It will help us continue developing, updating and improving Massive Warfare and also start working on our next game. We have big plans for mobile esports and rewarded tournaments. Overall, not having to worry all the time about things like runway gives us a lot of creative freedom, the capacity to take higher risks, and it enables us to think bigger and scale faster. Most importantly, it's a great chance to work closely with Initial Capital and London Venture Partners, two of the most relevant gaming industry investors. We learn a lot from them and the level of support we get across different areas is just outstanding. We finally know how it feels like playing in the big leagues." "In a way, the investment gives us more independence. It will help us continue developing, updating and improving Massive Warfare and also start working on our next game"
Not that the TinyBytes team isn't used to the big leagues. Many of its staff hail from the likes of EA, Glu and Behaviour Interactive. Constantinidis himself started the business after a stint at EA Australia and the Firemonkeys team. "We had great success with Real Racing 3 and The Sims Freeplay," he tells us about his time at EA. "I found that I was going to be a father, and contrary to what people normally do, this felt like the right moment to become an entrepreneur. I had the encouragement from my wife and from a close friend and mentor, Tony Lay, former GM at Firemonkeys. So I left one of the best mobile game development teams in the world and went to Argentina, where I'm from originally. That way my son was born and raised close to our family. "It was a pretty hectic time in my life filled with uncertainty. Back then, there were not many studios that would do action free to play games on mobile in South America. I felt there was an opportunity there." The company was formed with the help of advisors Esteban Sosnik and Tiburcio de la Carcova (Wanako Games and Atakama Labs). And Constantinidis then met his co-founder Andres Ayala (Wanako) via the internet. "Ours was sort of an online dating story," he jokes. "I first approached him on LinkedIn, we started having regular calls on Skype, we threw a lot of ideas at each other, then we met in person in Chile and we got on straight away. 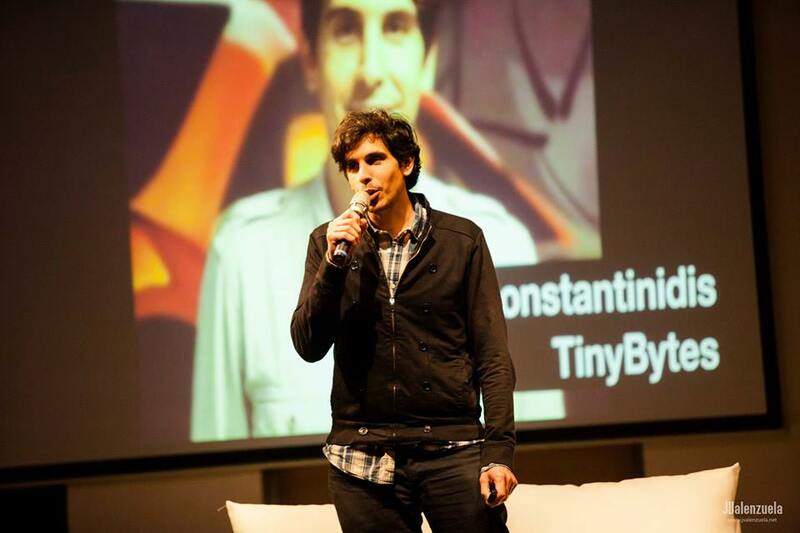 We took a road trip to Santiago's mountains and that's where we set the mission and values of TinyBytes. We admired how things were done at a people level in democratic, flat-structured companies like Valve and we admired Supercell's lean startup, fail fast, approach. We had been employees in big companies and knew we wanted to do things in a completely different way when it comes to people and creative processes. "We founded the company in January 2014, and that's how it all started. The beginning was tough. Completely different from what I was used to in terms of scale. It was literally starting from the bottom up. Coming from managing EA's brands, I felt like Superman without his powers. We bootstrapped with our own money for a long time, developed our first game, Battle of Toys, in a garage. Then came the Startup Chile grant and our first round of funding later that same year." Chile isn't a market renown for its game development scene, but Constantinidis believes there's a lot of potential, particularly to investors. "[The market] is relatively small still, but it has lots of young talent and it's growing quickly," he concludes. "From an investment point of view, it's a very stable pro-business economy, where you can get more done for the same amount of money. That's a great talent/cost ratio. There's a lot of camaraderie between developers, who like to help each other. There are impressive games coming in other platforms like PC and console. "The biggest challenge is probably the geographic distance from key markets like US and Europe, in terms of access to funding. I think that gap is gradually getting smaller though. And that's thanks to a lot of local financial support available to the gaming industry from government organisations such as Corfo and ProChile, who help studios like us with equity-free funding for product innovation and budget for attending the main gaming industry events to meet with key partners overseas. It's been a long process of traveling long distances very often to meet with the right people. But it has paid off now, and we are now breaking new ground, by having the Supercell investors funding a Latin American gaming company for the first time." Congrats TinyBytes team! Hell of an achievement for a Latin American developer.